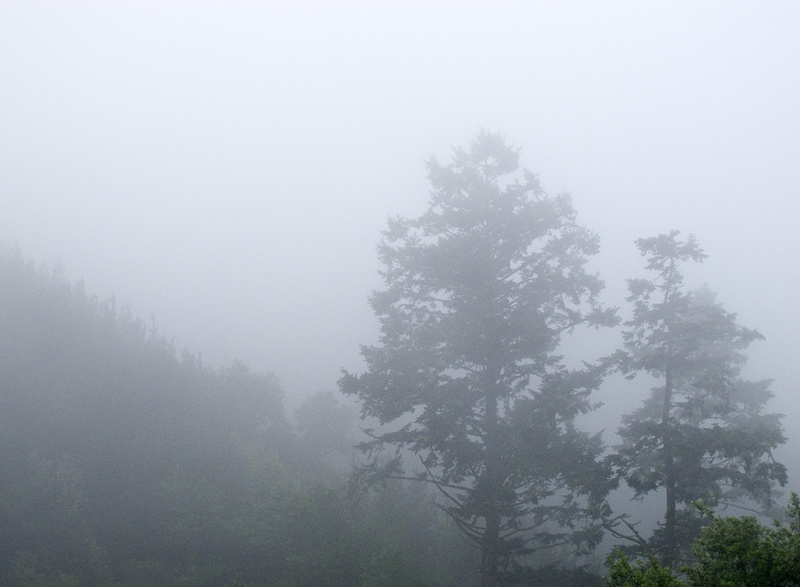 Click the words above “Inverness Ridge, into the fog” to see this post how it was meant to be seen. 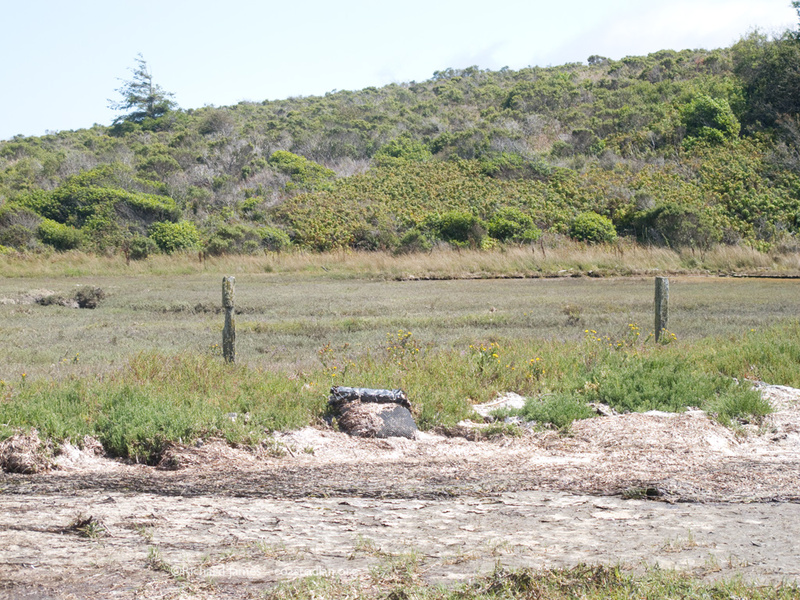 Riding a bike (or walking) the road to Limantour Beach on a foggy day is a great way to experience the magic of this place so many love. 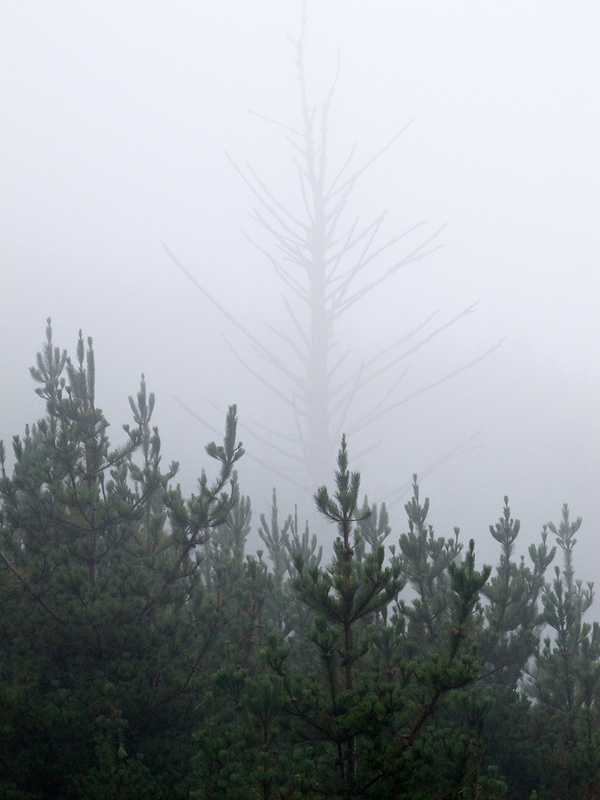 Condensed fog drips from the branches of fir and pine, providing a delayed rain drop to refresh your face and dampen your clothes. 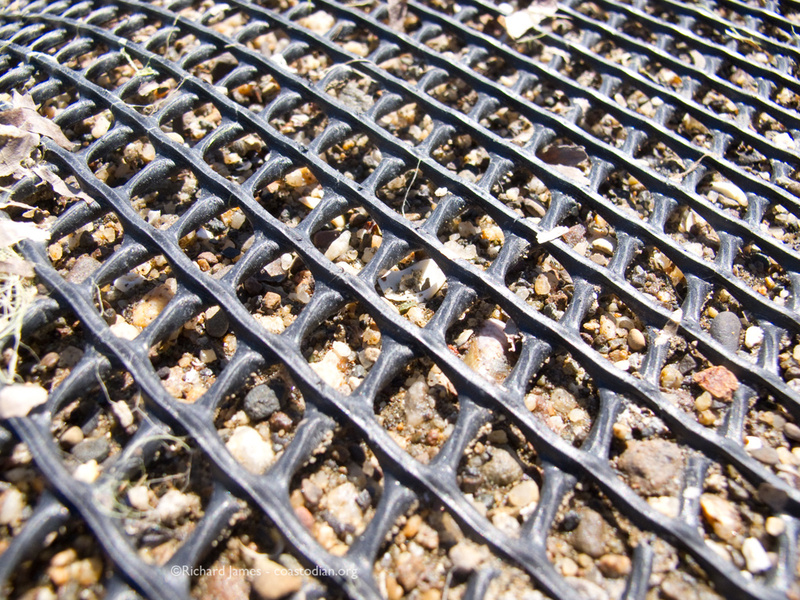 The scent of damp earth fills the air with memories past. 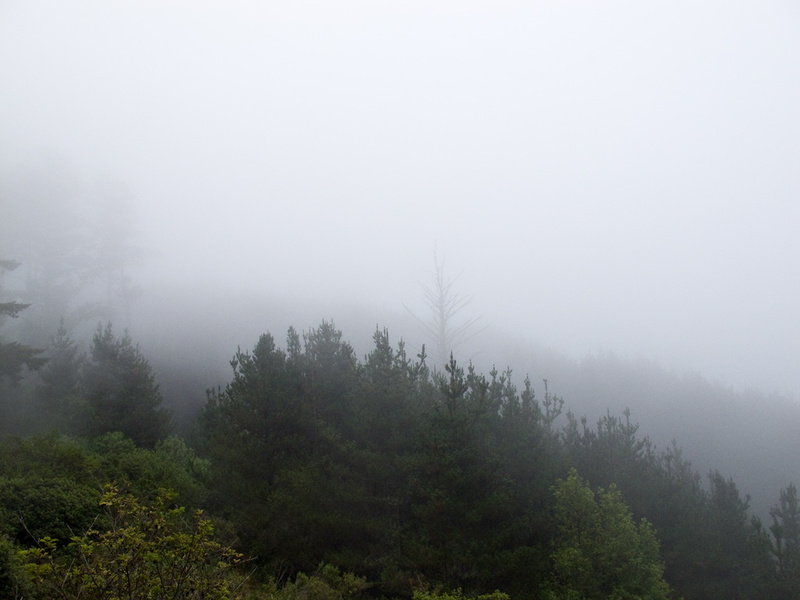 The sounds of ravens and jays punctuate the steady whoosh of the wind as it blows over the ridge and across my face while I pedal. 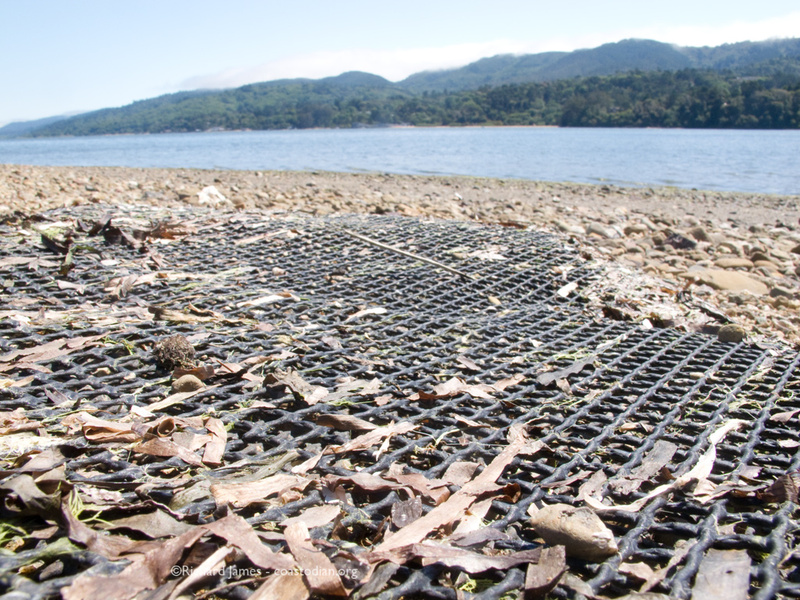 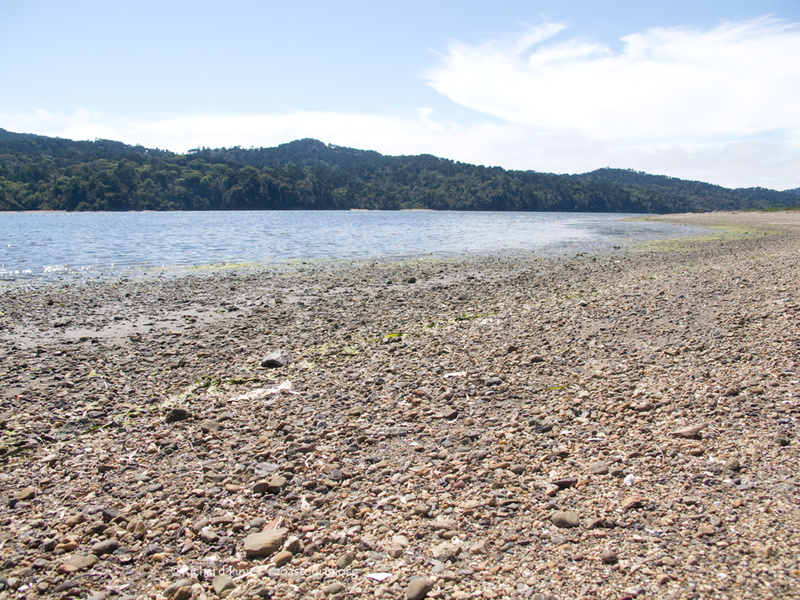 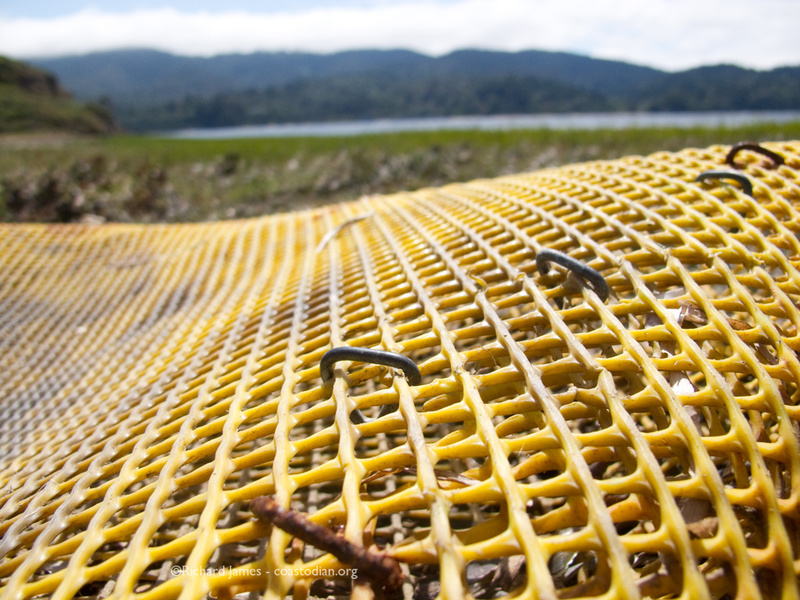 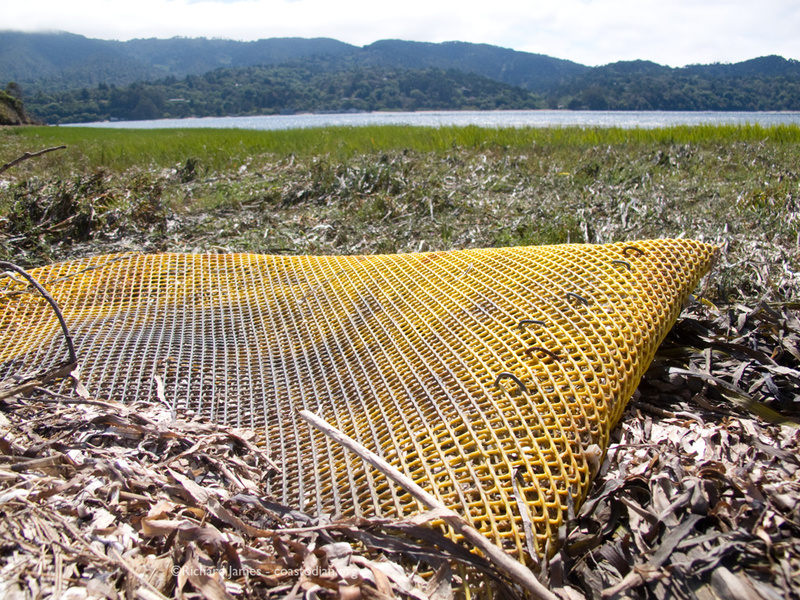 Click the words above “Save our Tomales Bay…” to see this post as it was meant to be seen. 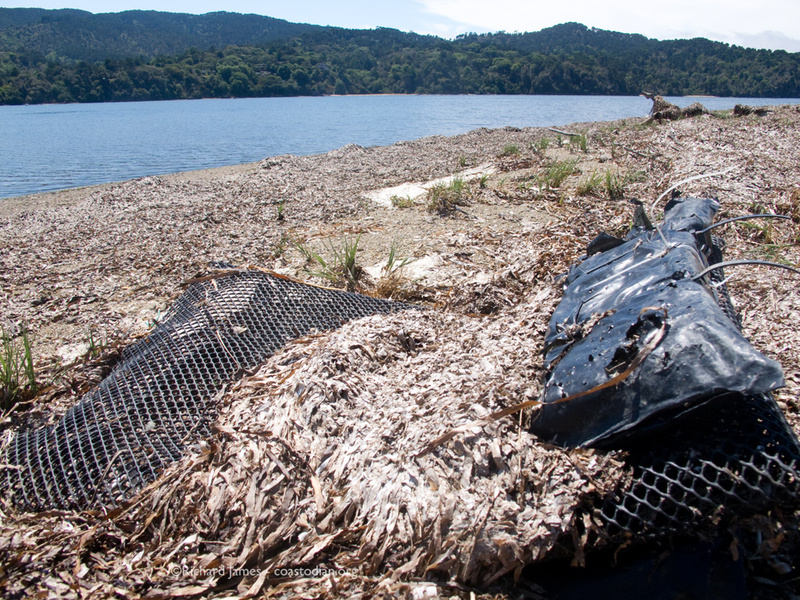 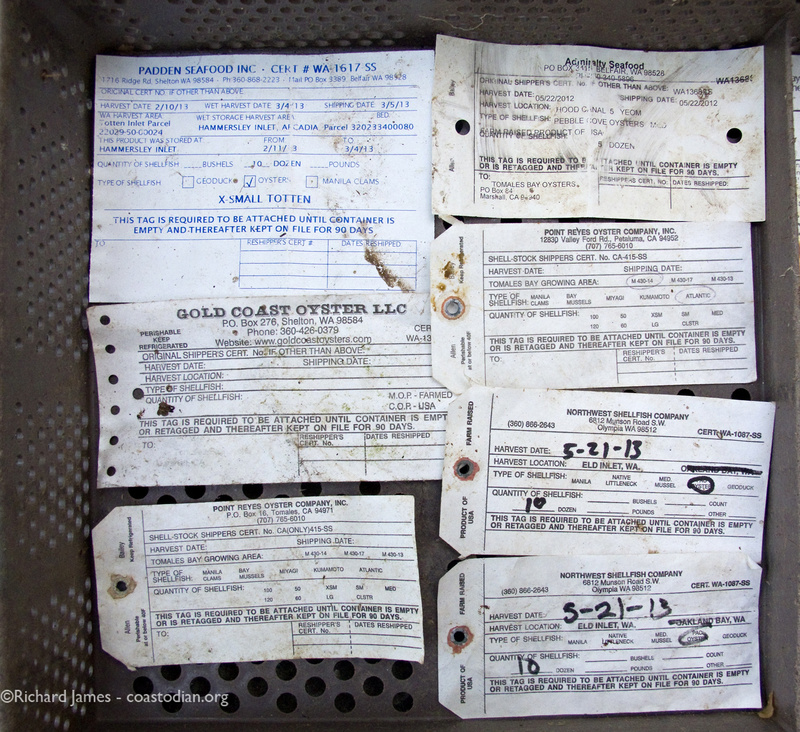 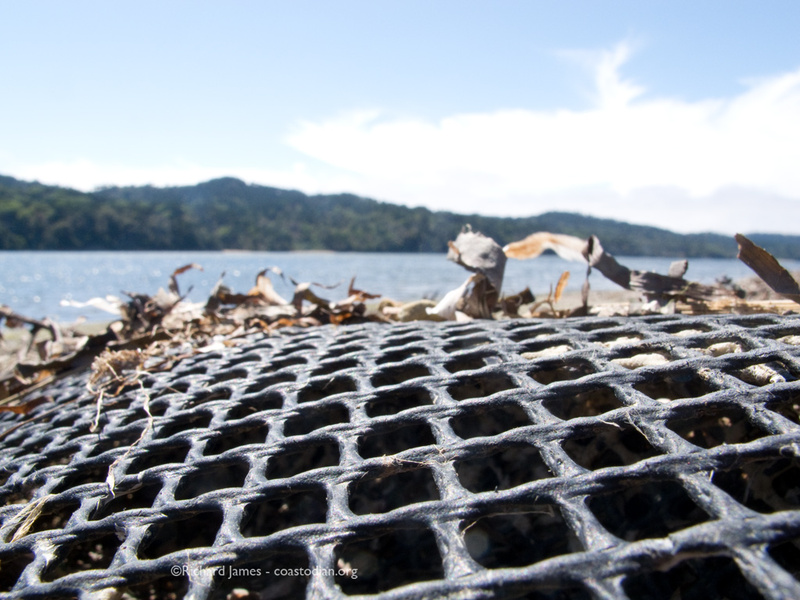 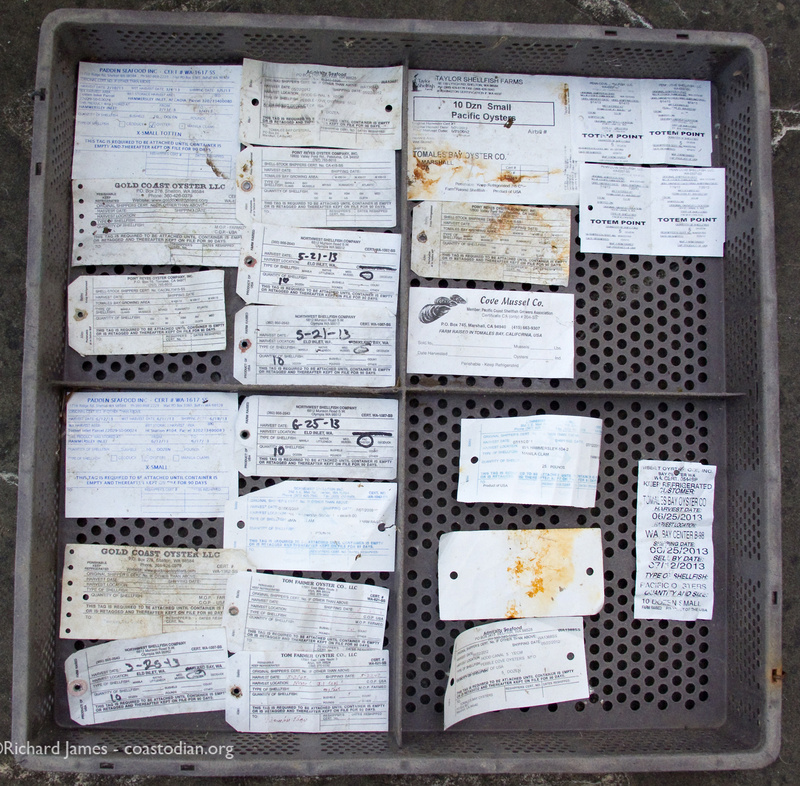 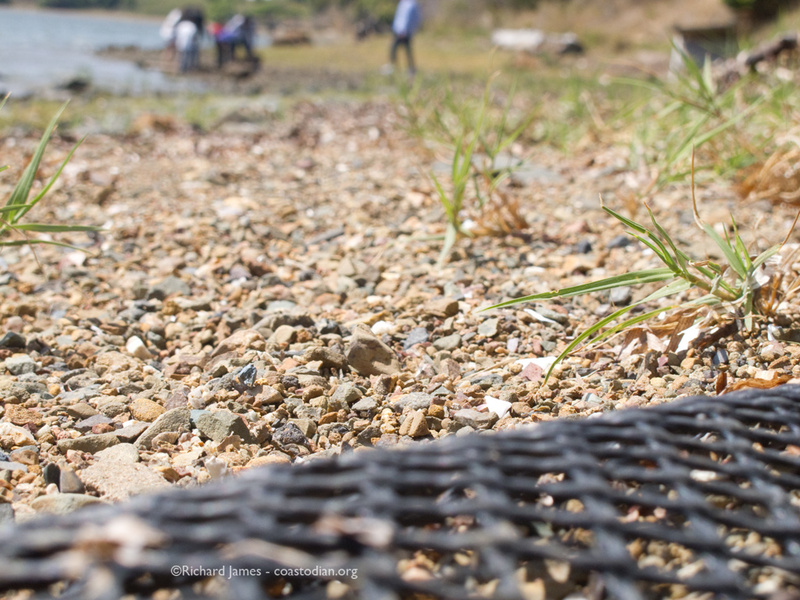 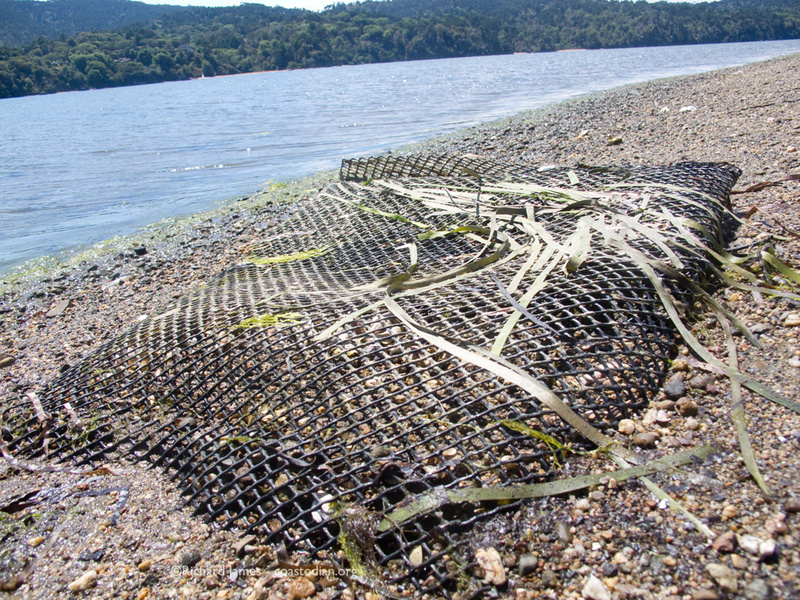 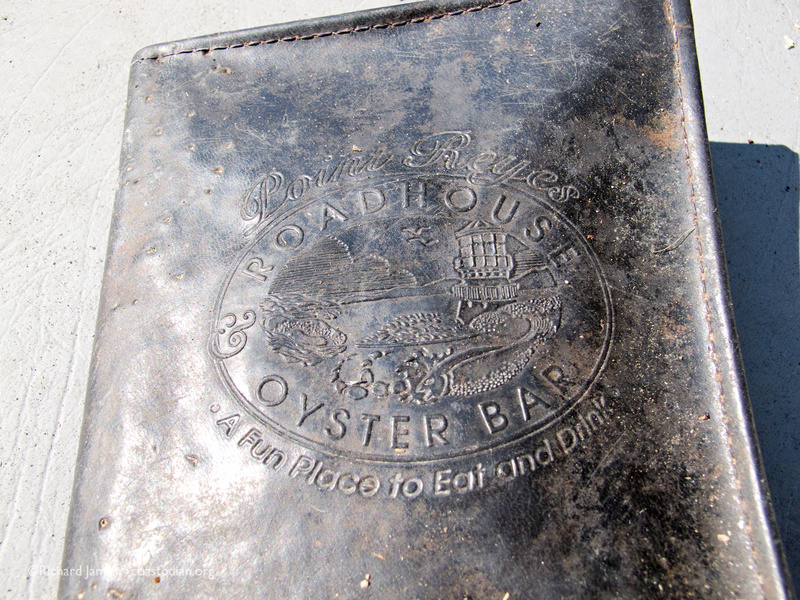 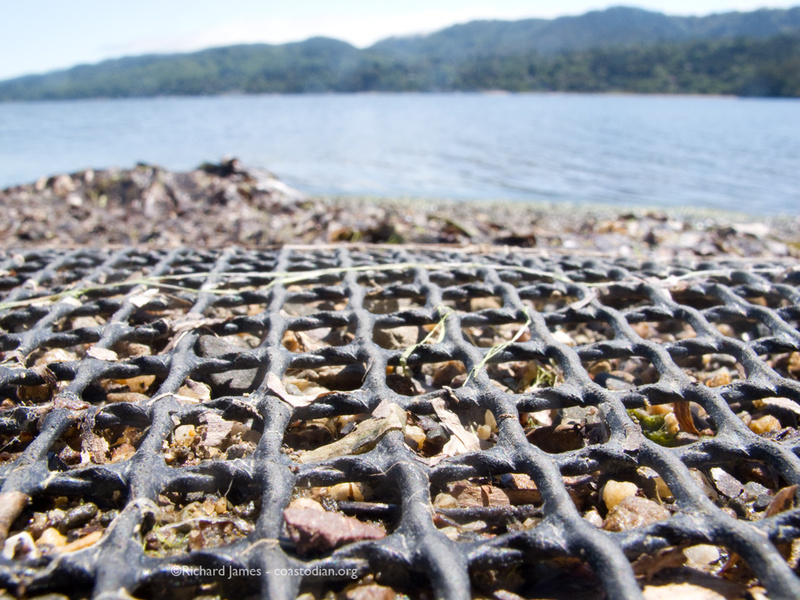 The past several weeks I’ve been picking up the trash left behind by local oyster farming operations on Tomales Bay. 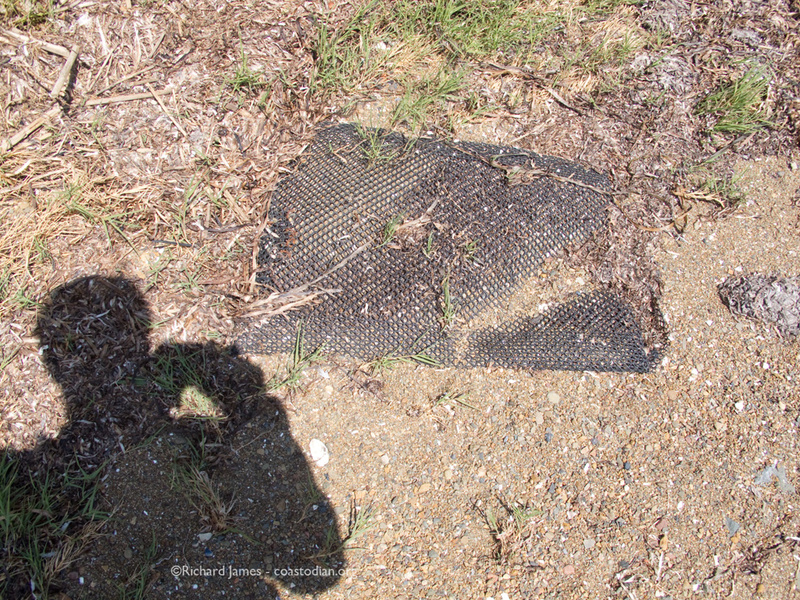 In this post from 29 June, I wondered aloud if those responsible for the mess would pick up after themselves, or would I need to find more help to rid the environment of the trash of private enterprise. 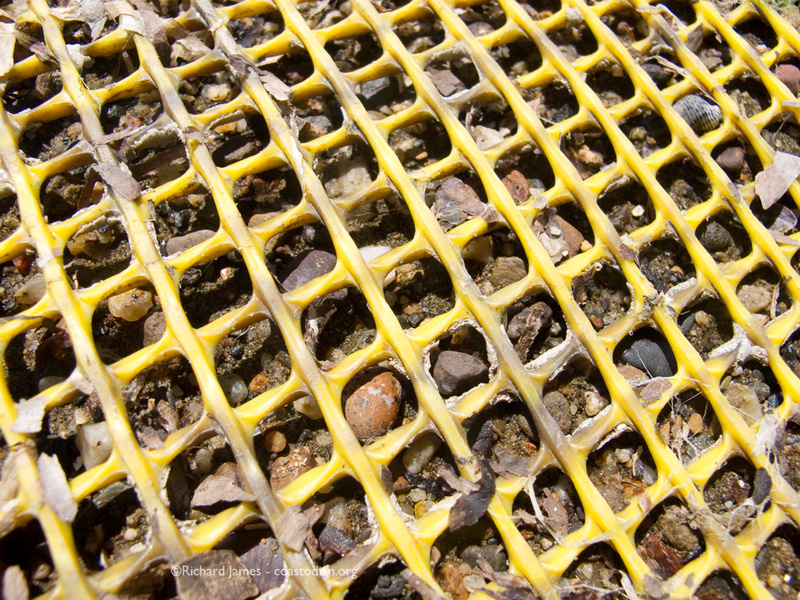 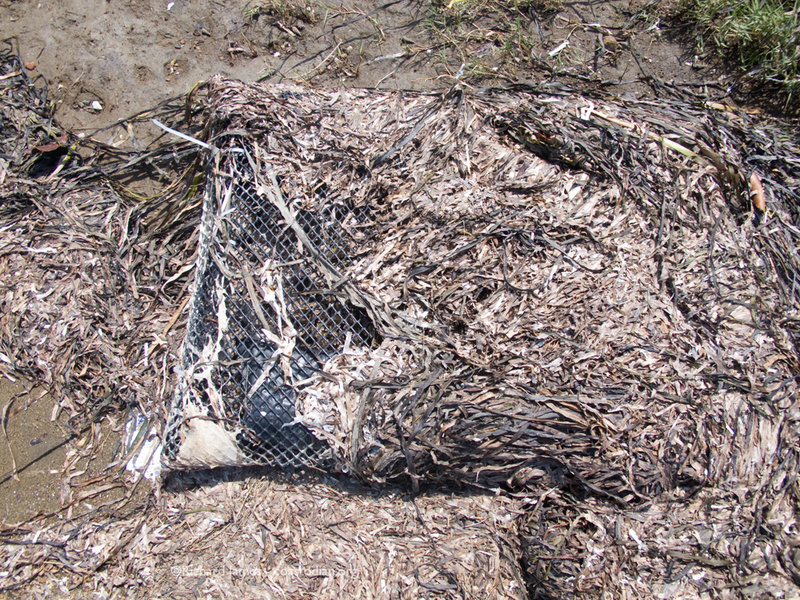 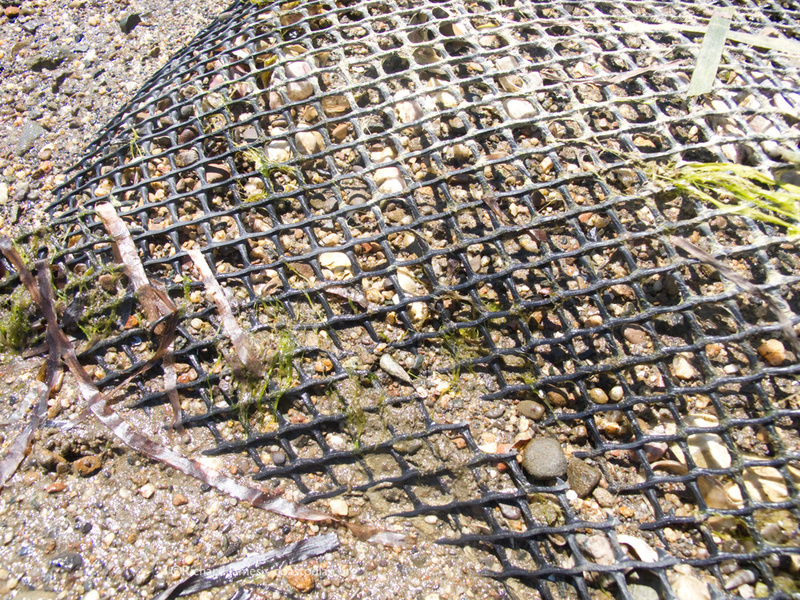 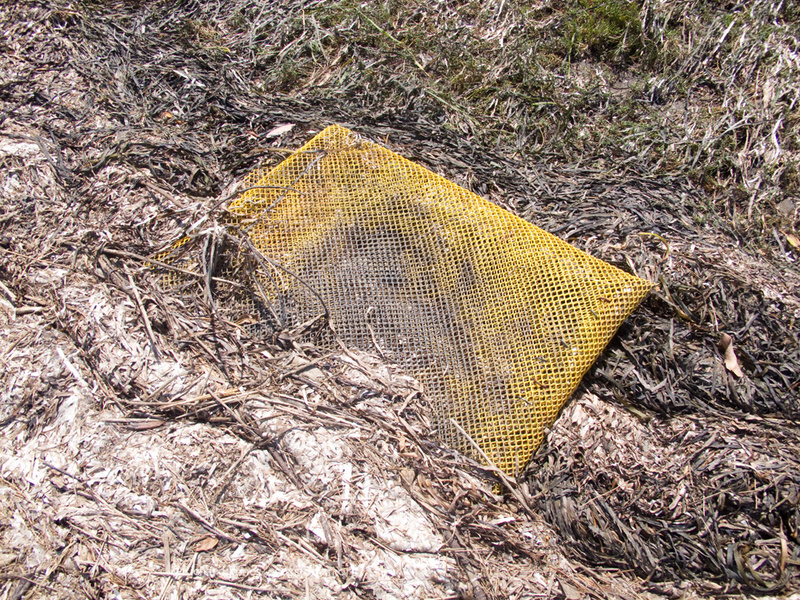 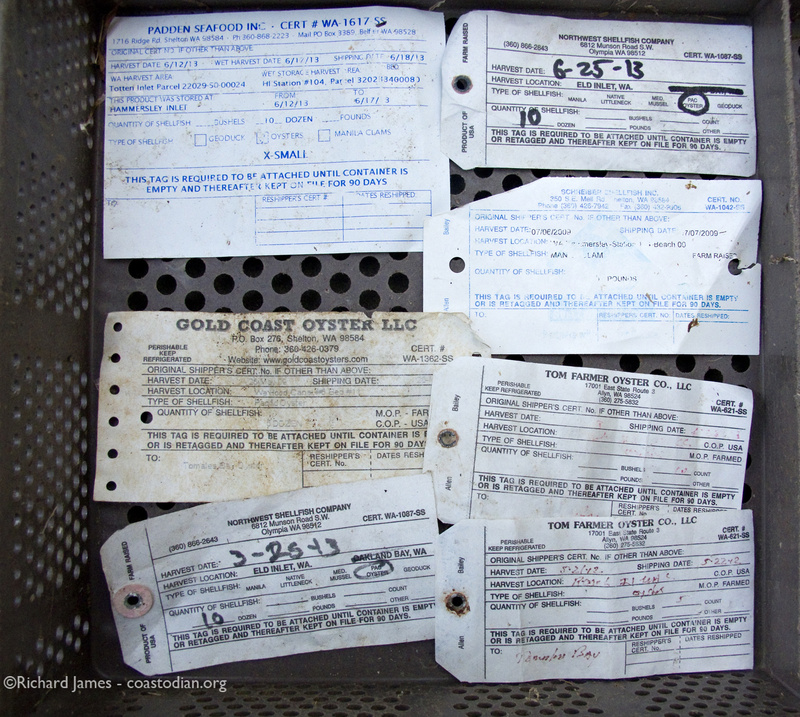 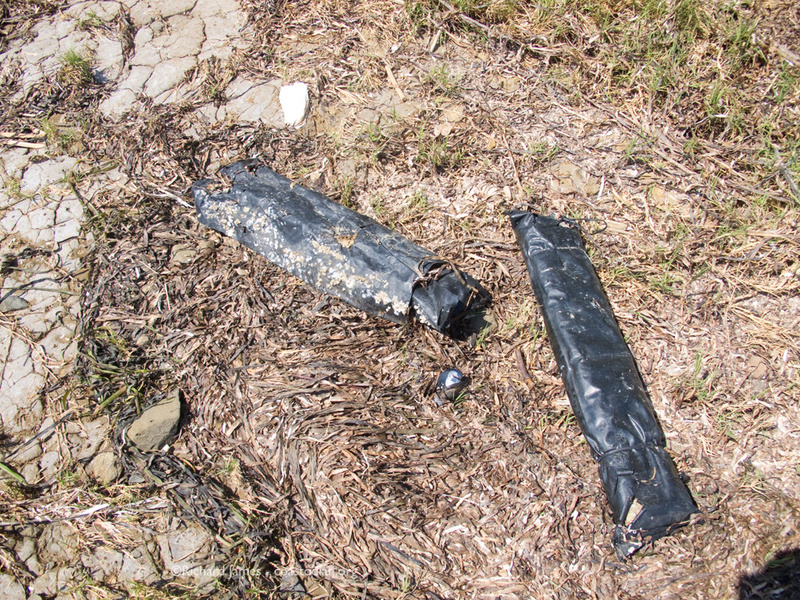 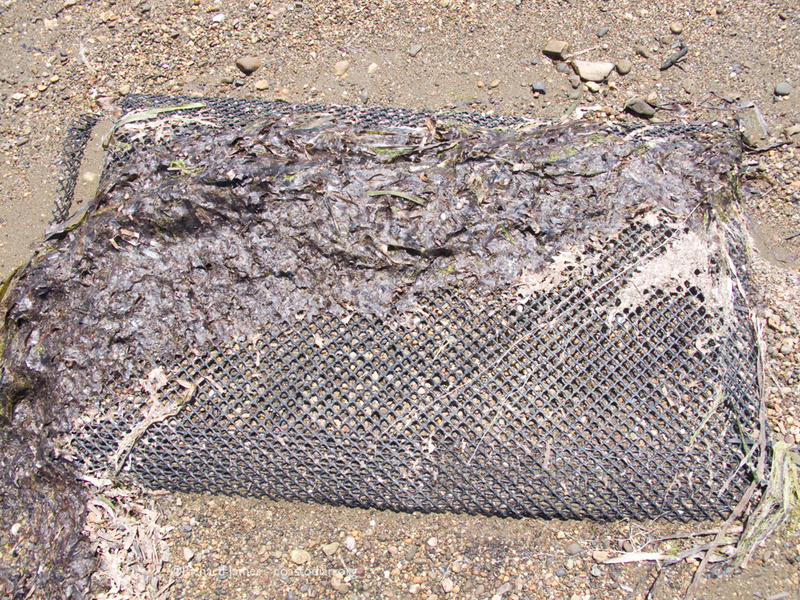 A week later and a few of the larger bales of plastic oyster grow-out bags had been recovered. 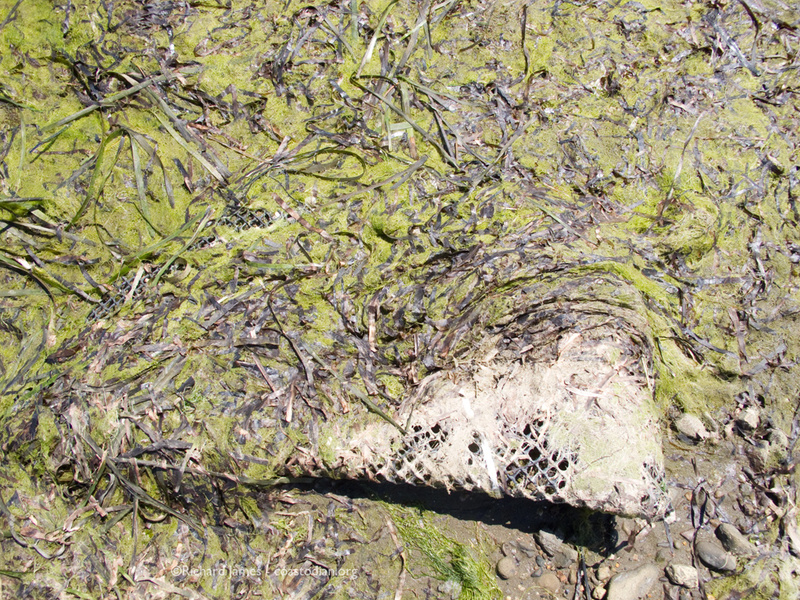 This past weekend I went back to have a look at some of the submerged bags, those filled with gravel and embedded in the sand, mud and gravel. 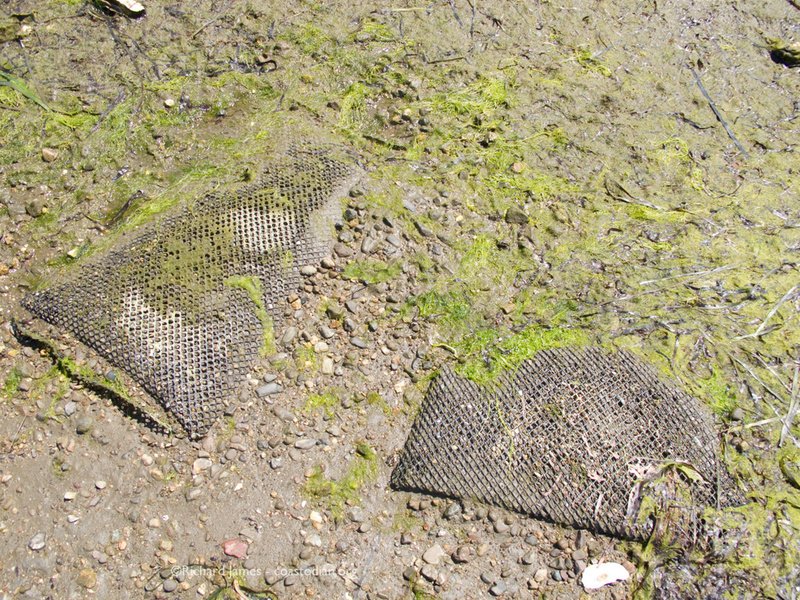 Unfortunately they were still there. 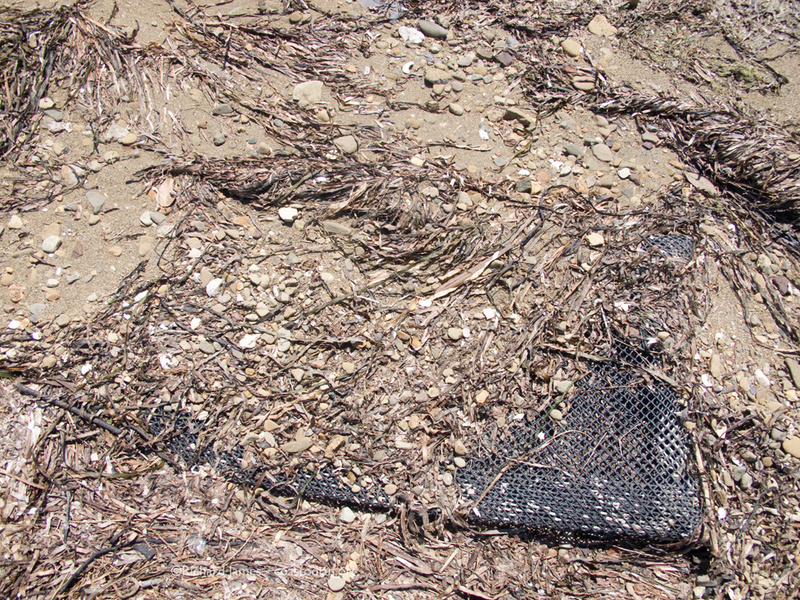 as were the many bags I had tossed up high on the shore to keep the tide from carrying them away. 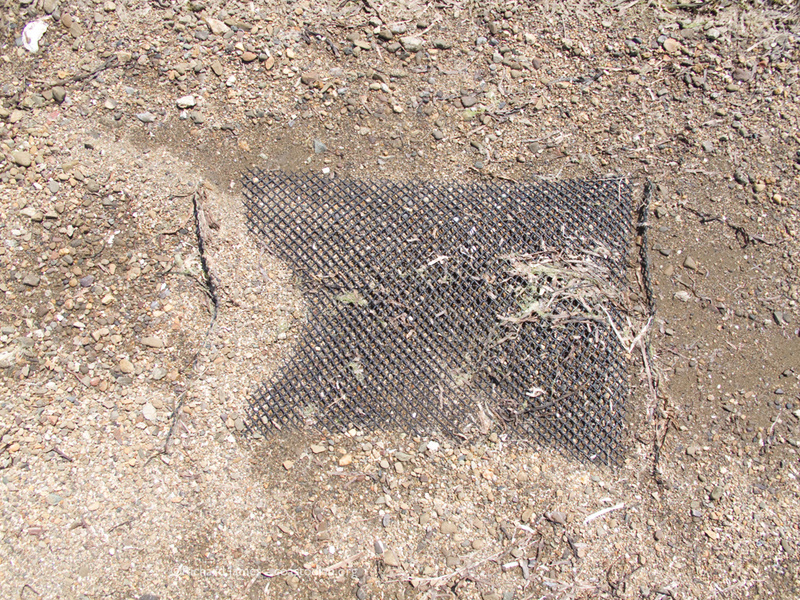 I found that by slicing along one edge of the buried bags, the sand and gravel can be more easily emptied out. 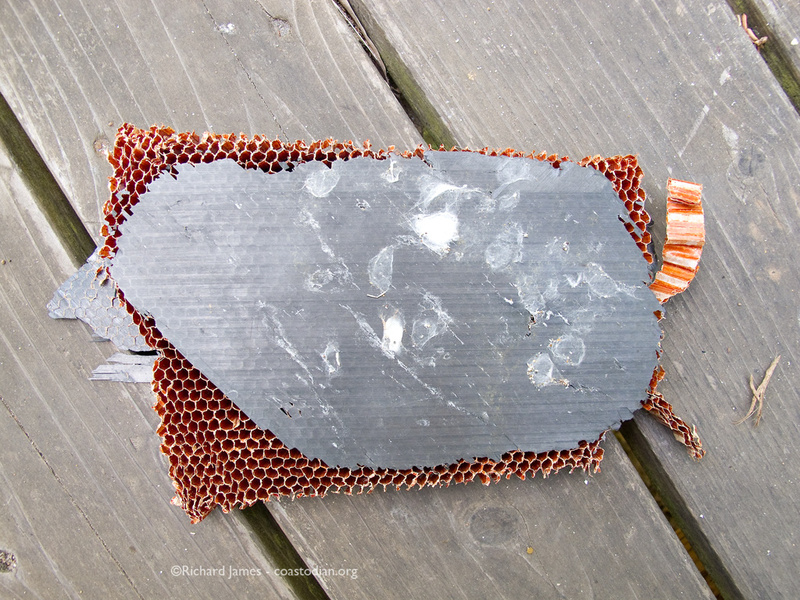 But, the freshly sliced plastic is also very sharp. 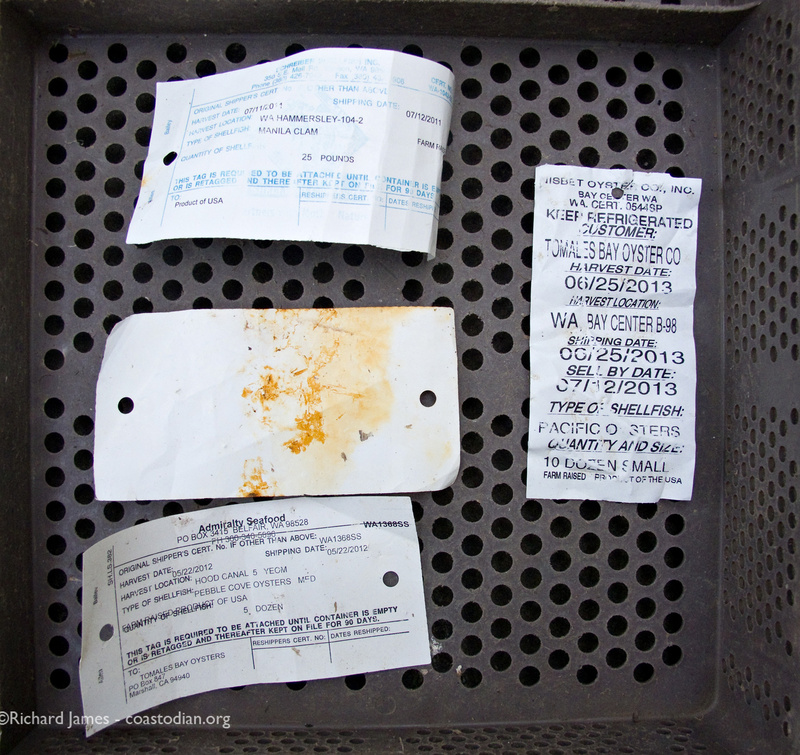 My punctured thumb bled profusely after learning this the hard way. 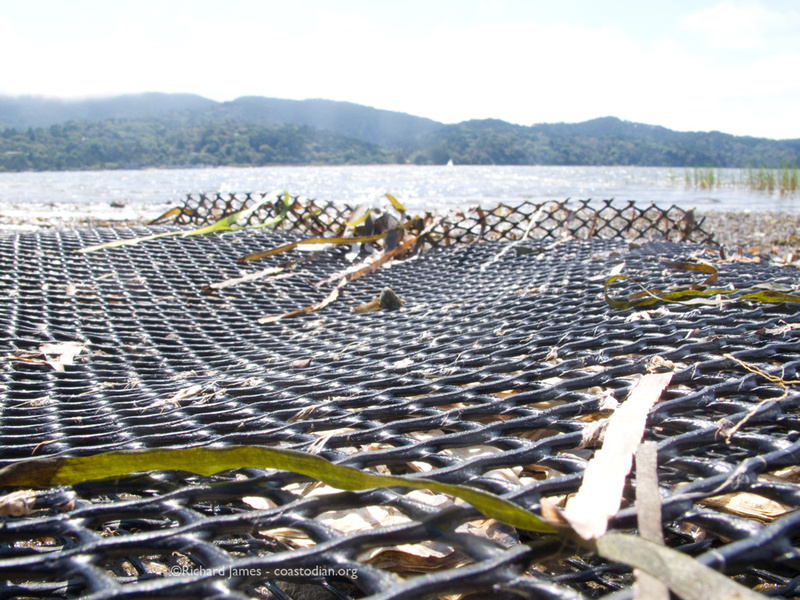 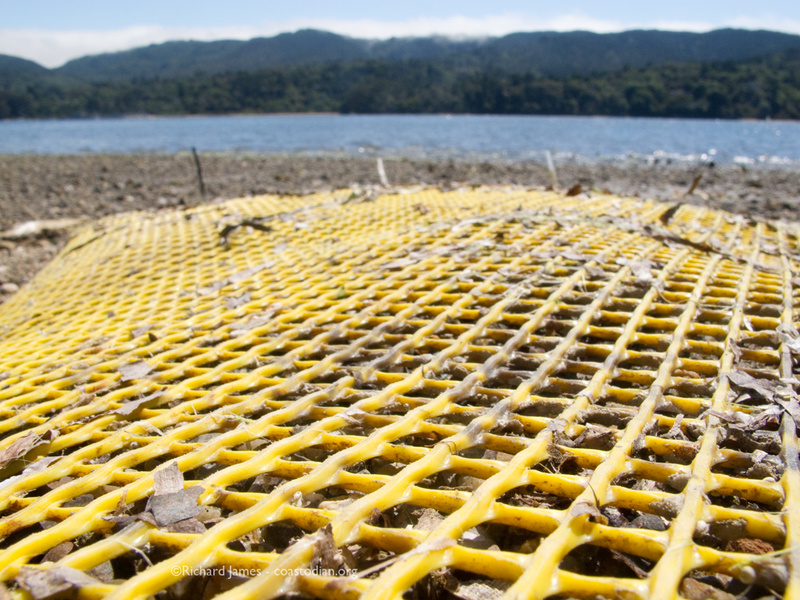 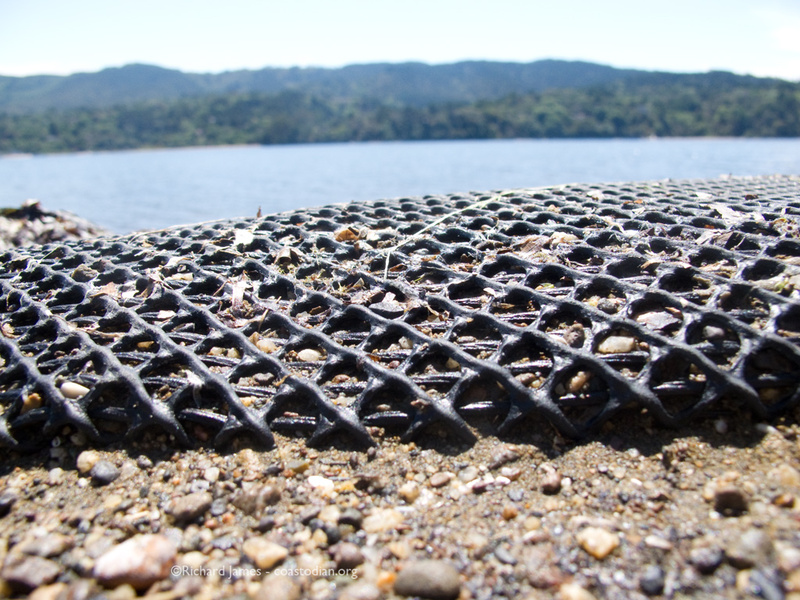 What follows are images showing the consequences of sustainable, low-impact, no inputs required mariculture of West Marin. 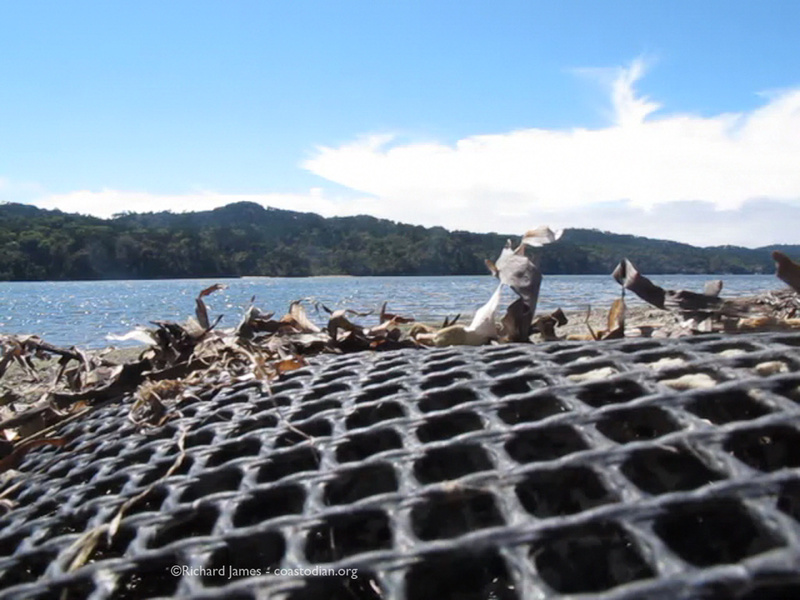 Have a look and ask yourself if this truly is as earth-friendly as it is being portrayed. 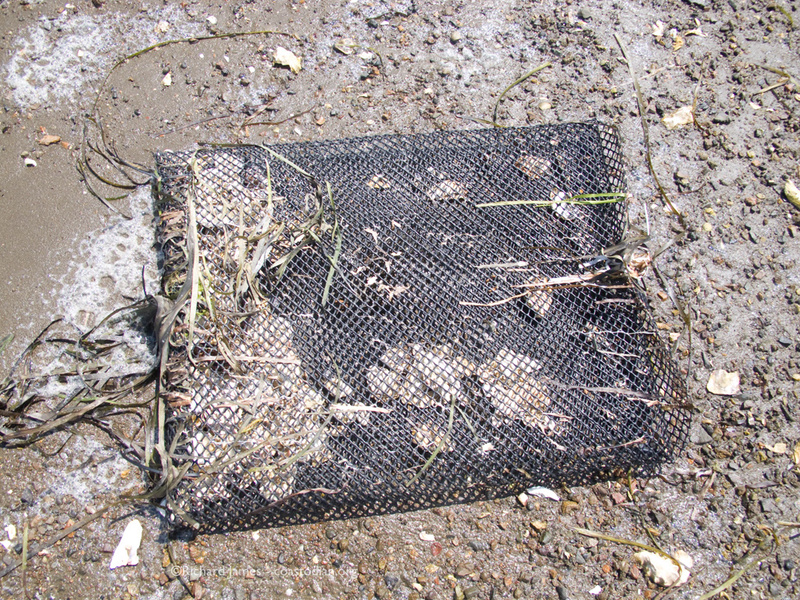 I imagine with some thought, as well as more labor, oysters could be grown and harvested without leaving such a mess behind. 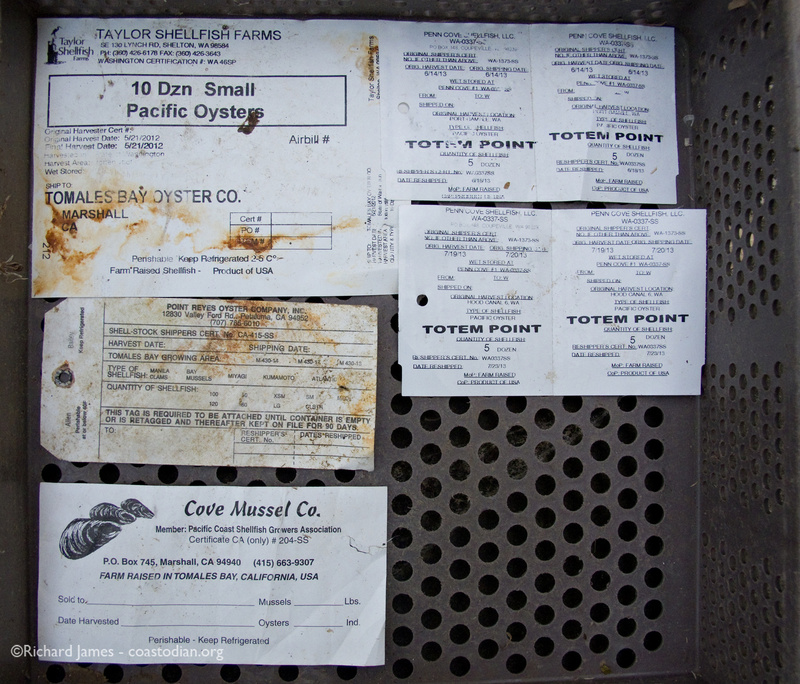 In a future post, you’ll see evidence of the origin of many of the oysters sold in West Marin to a public that thinks they are buying “local”, as well as sustainable. 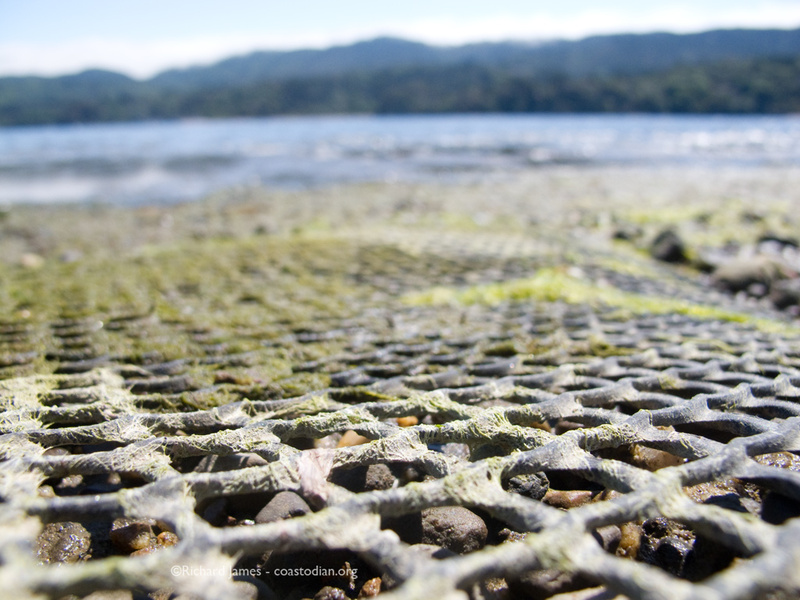 All images can be seen larger simply by clicking on them. 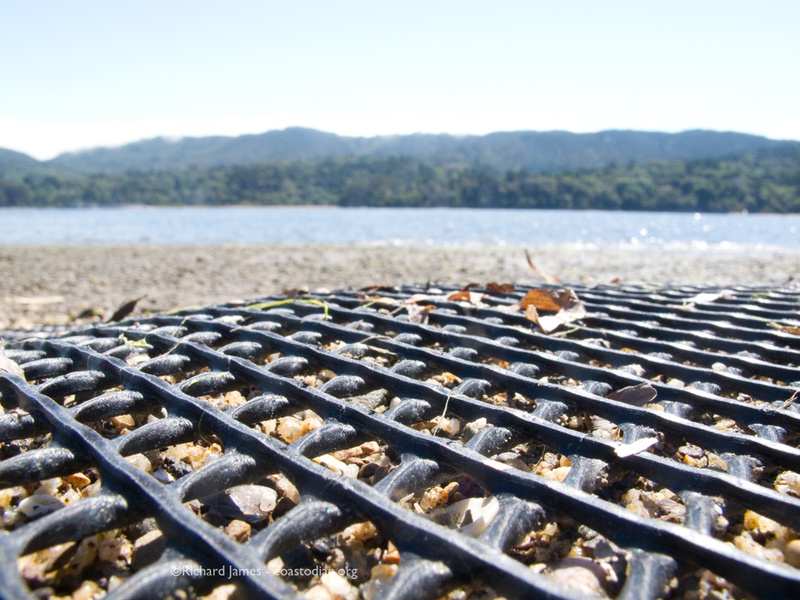 Above or below, which view do you prefer? 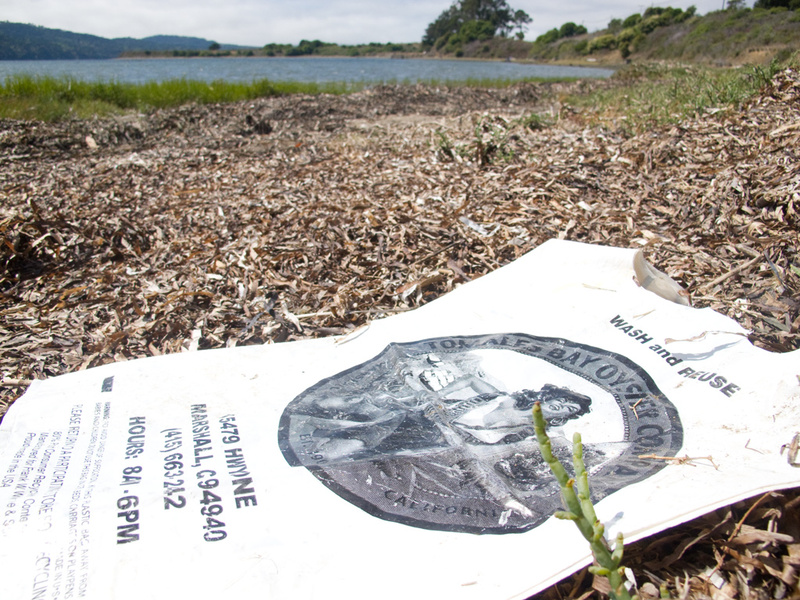 In yesterday’s Marin Independent-Journal is a view of the situation unfolding in Drake’s Estero not before seen in print (by me anyhow). 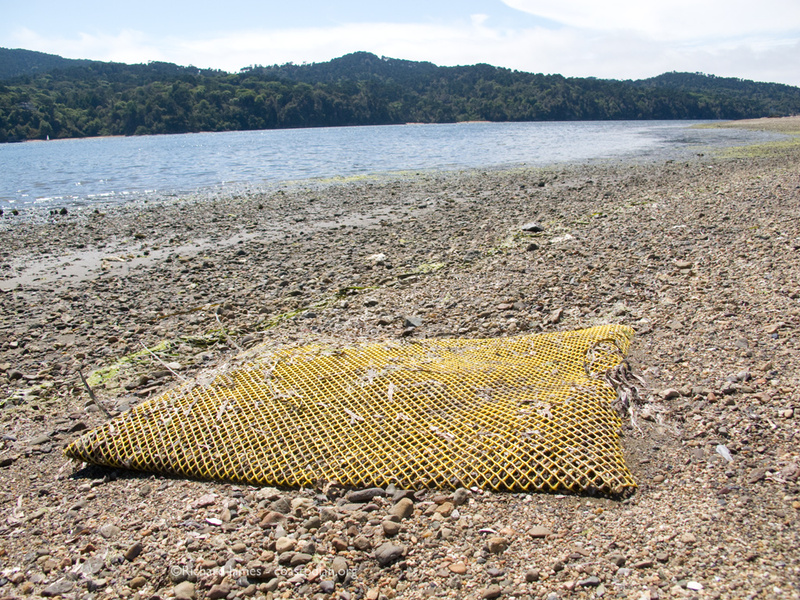 “I COMMEND the level of public engagement in the debate over whether to protect Drakes Estero marine wilderness or continue commercial oyster operations in our local national park. 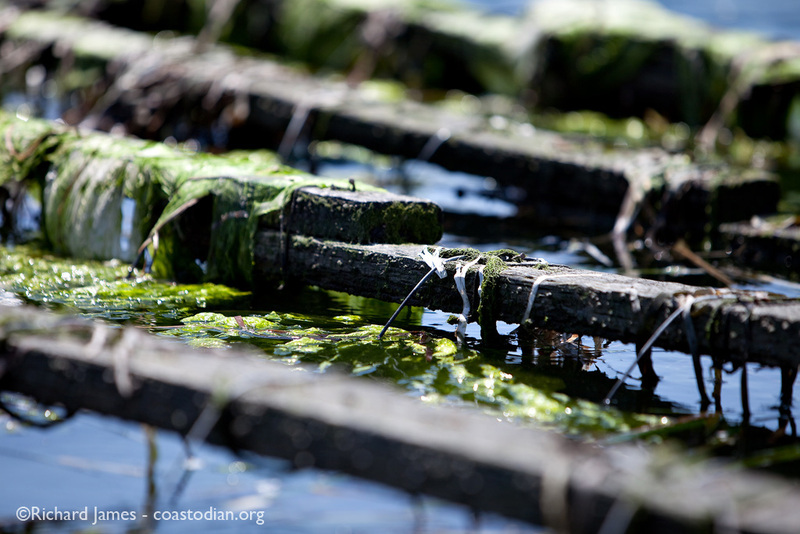 While the decision did not rest on scientific matters, fundamental ecological principles have always supported protecting this estuary.